The Express Office | Historic Jacksonville, Inc. When Cornelius C. Beekman established Beekman’s Express in 1856, he also bought a large safe to store the miners’ gold. His Express office became the second oldest bank in the Pacific Northwest. 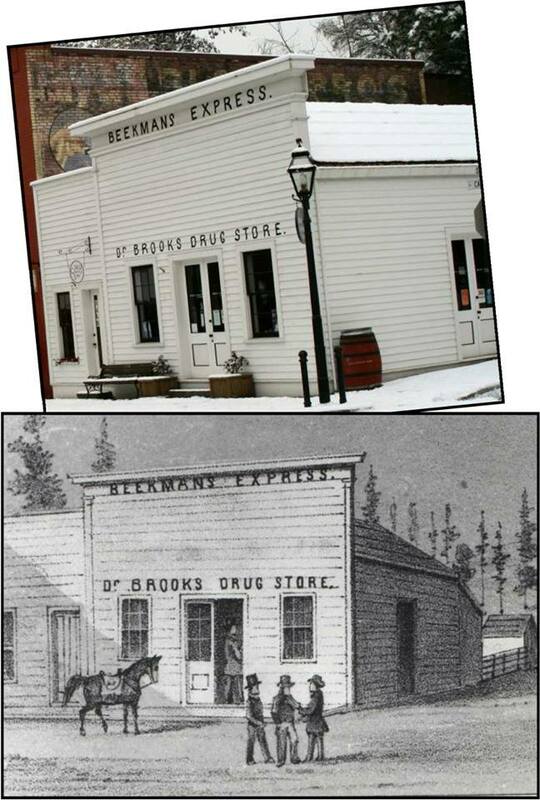 Before constructing his second bank building in 1863, he operated out of the Beekman’s Express Office at the southwest corner of California and 3rd streets in Jacksonville, a site he shared with Dr. Charles Brooks’ Drugstore. The “Express Office” now at that location is a reconstruction of Beekman’s original.